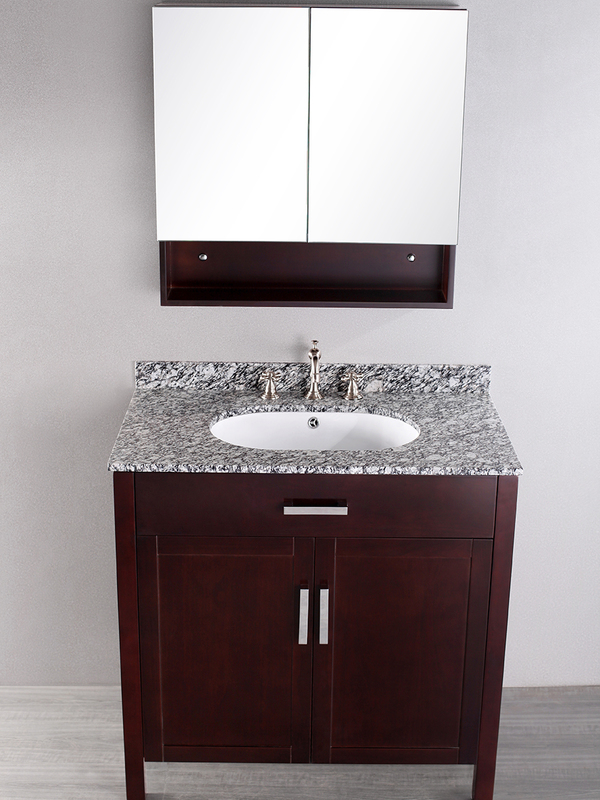 If you're looking for a vanity with great looks and plenty of storage space, then the 36" Constanza Single Bath Vanity is the perfect solution. 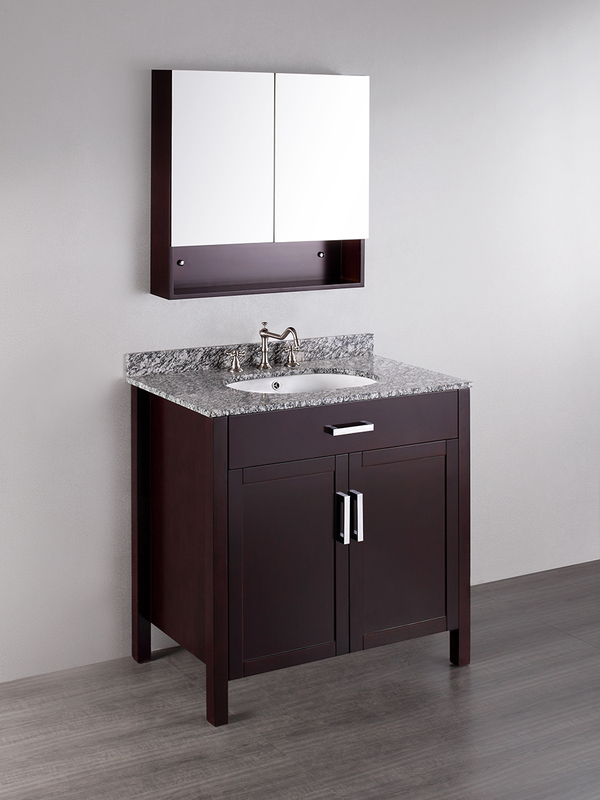 Featuring a rich Dark Espresso finished cabinet made from a solid birch frame, this vanity boasts elegance and durability. A spacious double-door cabinet offers plenty of storage room, and is adorned with Silver finished handles. The top is made of Carrera Marble and is accompanied with an oval-shaped ceramic undermount sink. 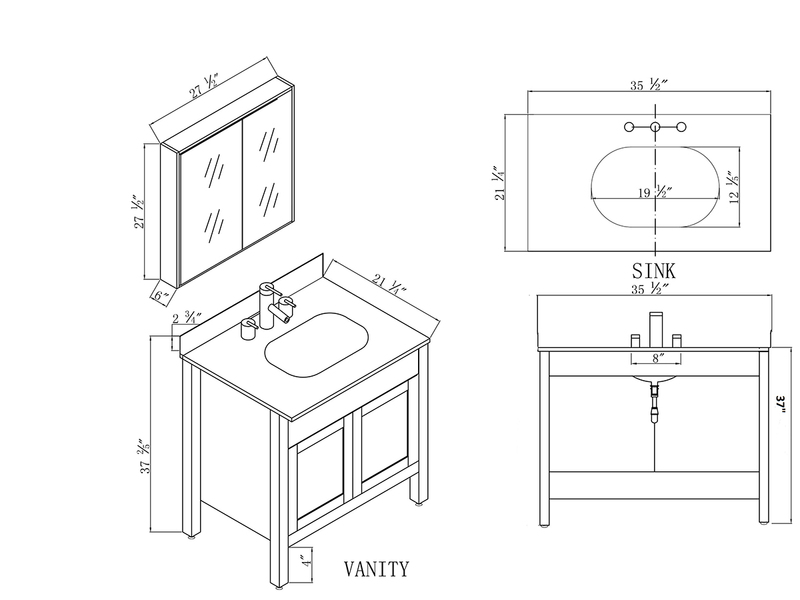 A matching medicine cabinet is also included with this lovely vanity.